Faculty of Biology UGM enhanced cooperation with Faculty of Science of Yamagata University, Japan, particularly in Education and research. This was seen in the visit made by Dean of Faculty of Biology UGM, Dr. Budi Setiadi Daryono, M.Agr.Sc., to Faculty of Science Yamagata University in March 2019. 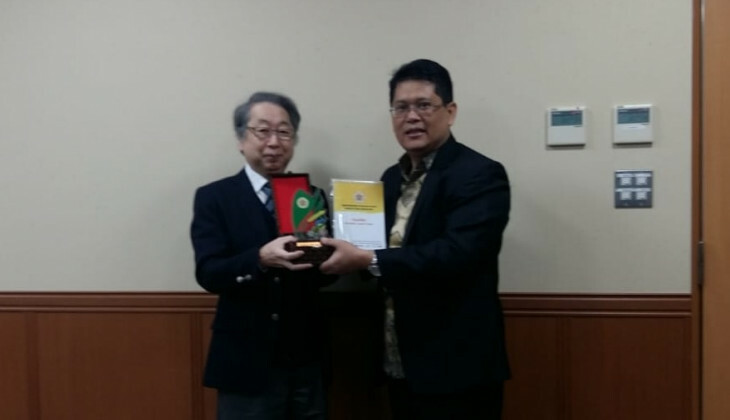 Dean of Faculty of Science Yamagata University, Dr. Hidetoshi Tamate, discussed with Budi Setiadi Daryono the plan for cooperation in the future, especially academically. The cooperation to be done include student exchange, dual degree programme for graduate students, and International Summer Course Programme, according to Budi. Budi said the synergy and cooperation would benefit both parties scientifically and contribute to the nations and the world. Besides, Budi had been invited to be the resource person for an event called The International Symposium on Rapid Evolutionary Change of Invertebrates, Plants, and Their Interactions under Ecological Disturbance at Yamagata University. Budi gave a presentation regarding dynamics and evolution of plant virus in Indonesia due to climate change. The symposium attended by graduate students in Japan became the forum to evaluate ecological impacts on evolution and interaction of invertebrates and plants. Other resource persons of the symposium were Dr. Naoyuki Fujiyama and Dr. Jun Yokoyama from Yamagata University, as well as Dr. Sih Kahono and Dr. Himmah Rustiami from Indonesian Institute of Science.